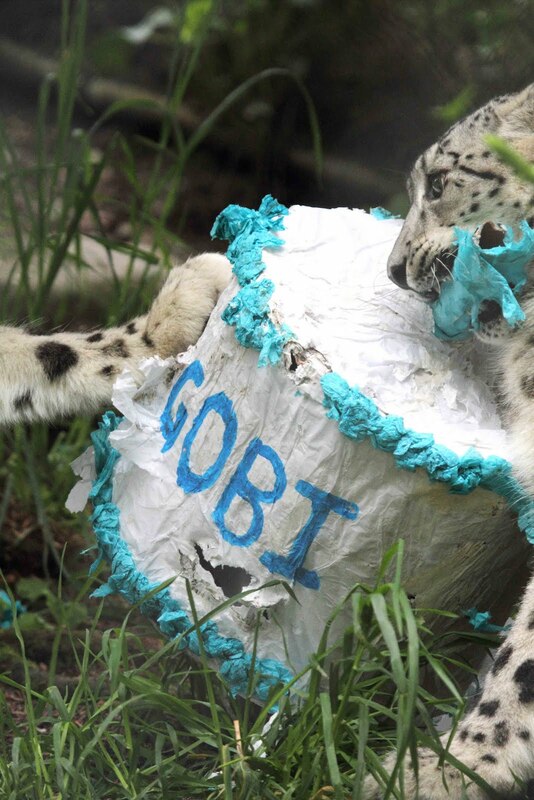 Happy birthday, Gobi and Batu! Our not-so-tiny-anymore snow leopard cubs Gobi (now 65 lb) and Batu (now 56 lb) turned 1 year old this week! We celebrated their birthday with two incredible paper-mâché “cakes” for the cubs made by one of our very talented staff members (Thanks, Regina!). 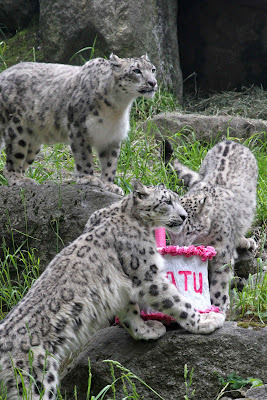 Keepers put the cakes out into the exhibit space while the cats were behind the scenes. 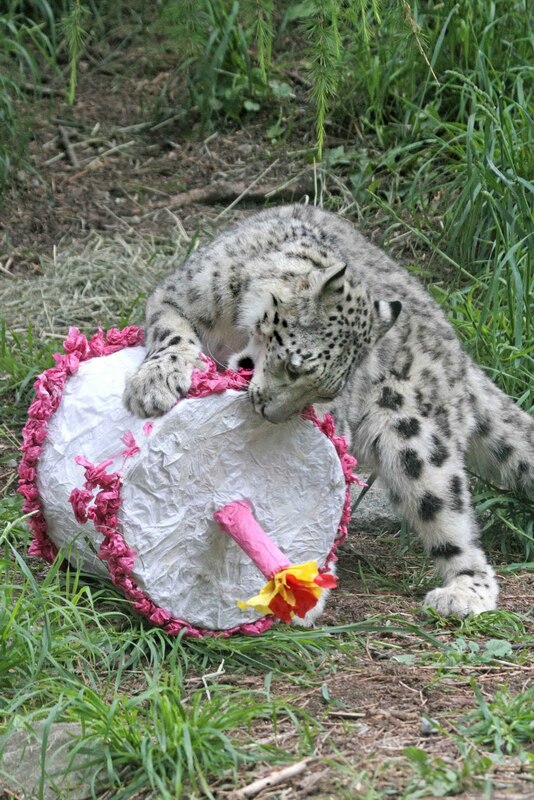 But once the snow leopards came out, it took just seconds for them to spot and sniff the fun, new enrichment in their exhibit and pounce! The crowd of school kids and visitors encouraged them with chants, “Get it! Get it!” And they all thrilled to see mom Helen and the cubs stomp, bite, shred, and roll those cakes down the hill—leaving quite a mess behind! But what’s a birthday party without a little mess? We’ll continue celebrating Gobi, Batu and the majestic species they represent with our annual Snow Leopard Day event coming up on August 14. The cubs were born last year as part of the Species Survival Plan for this endangered species, an important step for snow leopard conservation helping to increase genetic diversity. Woodland Park Zoo also helps protect snow leopards in the wild through our work with The Snow Leopard Trust, a Woodland Park Zoo Partner for Wildlife. 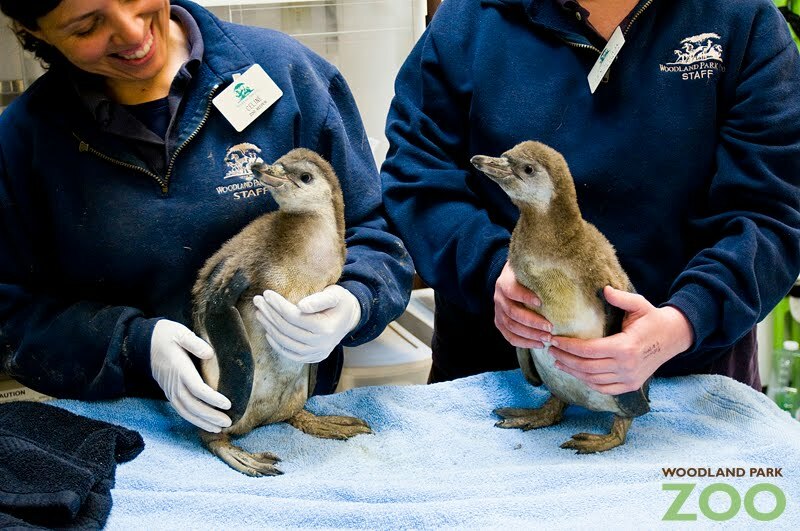 In April, we celebrated the hatching of five Humboldt penguin chicks. Yesterday, we showed off a couple of these chicks to local press, and are they growing fast! 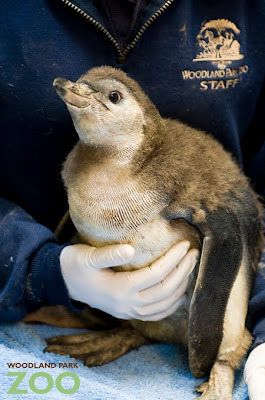 The biggest chick weighed in at 8 pounds and is just 3 inches shy of reaching full adult height. 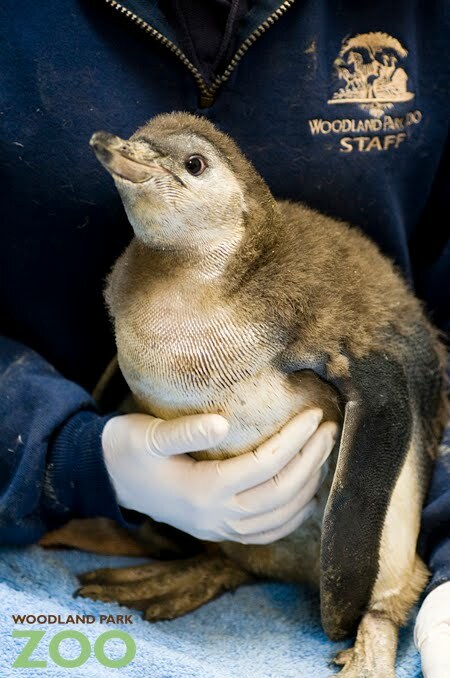 While penguin chicks do grow surprisingly fast, they still have that adorable “babyish” look. Wearing the downy plumage they were born with, their gray, waterproof feathers are starting to grow in. The three sets of parents continue to raise their young in nesting burrows in a quiet, off-exhibit room. The chicks shown in these photos hatched on the first of April and on Easter Sunday, representing the oldest chicks from this year’s breeding season. We don’t know the gender of the chicks yet but will find out in the near future through DNA testing. So, when do you get to see the chicks? Our plan is to introduce them to the outdoor exhibit sometime in late June to mid-July, but first we need to train them to accept food (trout, smelt or herring) from the keepers and enter and exit the exhibit on cue. Also, before joining the colony of adults outdoors, we’ll allow the chicks to swim round-the-clock in an off-exhibit room with a shallow pool. Here, we can gauge their comfort level in a controlled environment. We’re very excited about our chicks and can’t wait to introduce them to our community. After all, we just opened the state-of-the-art exhibit a year ago and five chicks are not bad at all for penguins living in a new home. Stay tuned for their debut this summer and get ready to see our new chicks do what they were born to do—“fly” underwater! 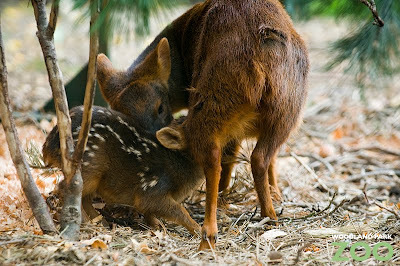 We introduced you last week to our newest addition—the baby pudu now on exhibit in the Temperate Forest biome at Woodland Park Zoo. 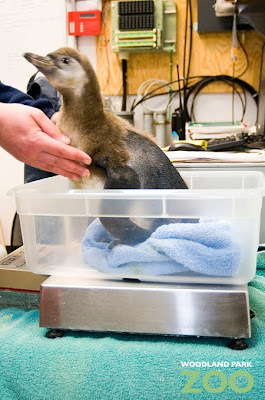 Here is footage of her at one-week old getting her check-up from vets and then exploring the exhibit. This birth is significant for our Species Survival Plan efforts for this endangered species. The newborn female is the sixth offspring between her 12-year-old mother and 10-year-old father. Video produced by Ryan Hawk, script by Hannah Letinich, voiced by Celeste Sabers/Woodland Park Zoo. 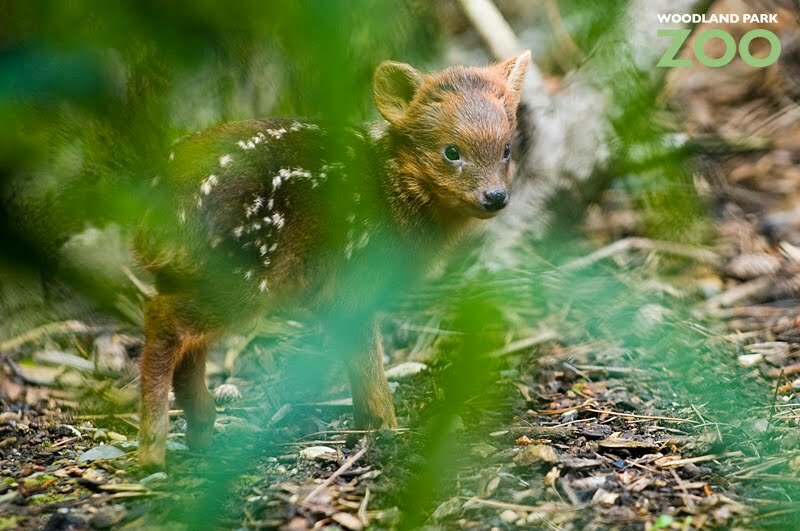 This tiny pudu female was born over the weekend at the zoo and we joined the vets, keepers and members of the press today for the neonatal exam of the baby. It was a quick exam that went well, and then baby rejoined her mother back on exhibit near the flamingos in the Temperate Forest area of the zoo. You can see them out on exhibit now, though you’ll have to look closely as these small babies are often well concealed by their mothers to protect them from predation. 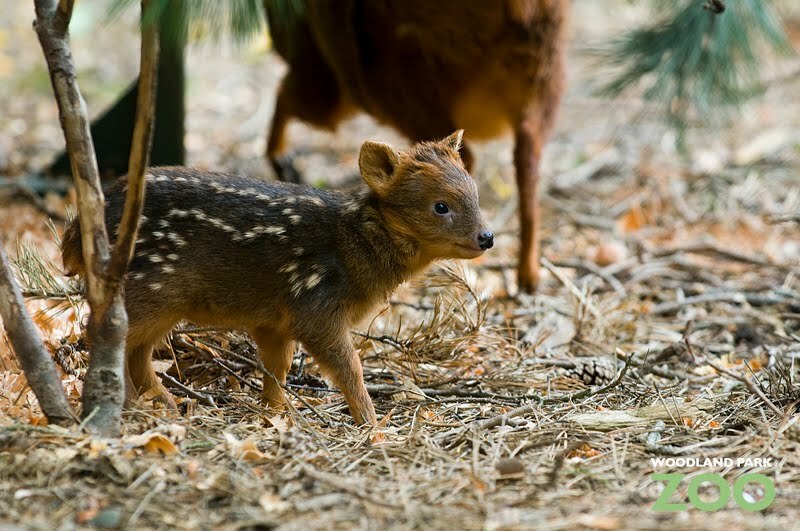 Not familiar with this animal? The pudu, pronounced POO-doo, is the smallest deer in the world, native to South America. At the zoo, we house southern pudus, which range in the wild throughout the lower Andes of Chile and southwest Argentina. Natural habitat for the endangered pudu continues to diminish due to overpopulation, clearing of land for agriculture, logging, hunting and other human activities. 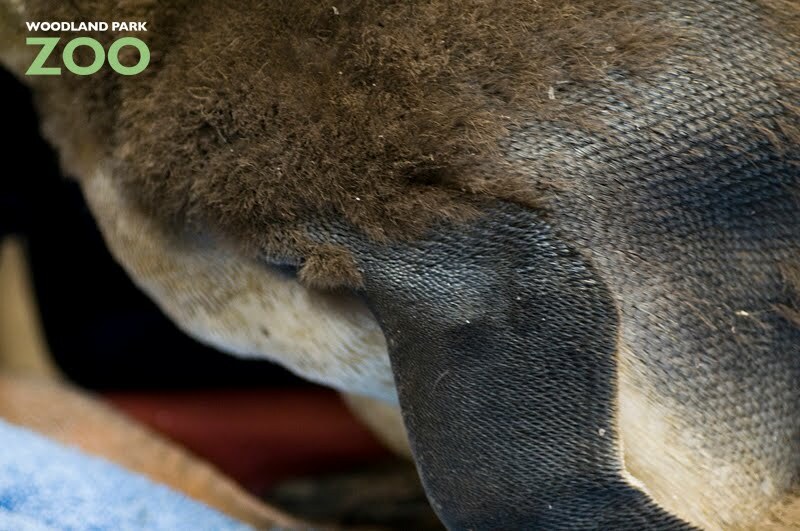 Our pudus are part of a conservation effort called the Species Survival Plan, a cooperative breeding program across accredited zoos to maintain the genetic sustainability of populations. Photos by Ryan Hawk and Hannah Letinich/Woodland Park Zoo. Never heard of the Louisiana pine snake? Maybe that’s because it is the rarest snake species in North America. The Louisiana Pine Snake Species Survival Plan (SSP) is one of the newest conservation projects the zoo is helping to fund and support. The program aims to return the snake to central Louisiana after a 60-year absence. 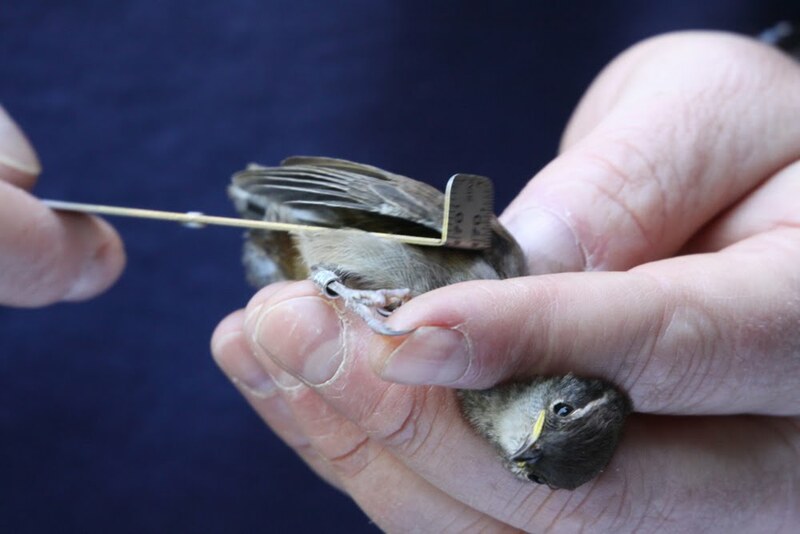 In fall 2009, scientists conducted on-site inspections of five potential release sites and eventually selected a location in the Kisatchie National Forest that would provide an appropriate habitat for the reintroduced population and its future offspring. Zoos that are participating in the SSP are helping by breeding these snakes to produce offspring for eventual release, with the goal of releasing 40 newly hatched Louisiana pine snakes in 2010. The next step is then to monitor subsets of the snakes released using radio-telemetry to learn more about how the animals are surviving, what their home range is like, and how close they stay to the place where they were initially released. Ultimately, if all is successful, the long-term goal is to contribute to the recovery of the Louisiana pine snake by restoring an acclimated, breeding population in the wild. At Woodland Park Zoo, we have a pair of Louisiana pine snakes living behind the scenes of our Day Exhibit, where most of the zoo’s reptiles and amphibians reside. Our pine snakes are part of the SSP program and we received a new male for breeding this year. While our offspring will not be released into the wild, they will play an important role in bolstering the captive population in order to increase genetic diversity as part of the overall effort to recover this species and keep the population healthy. The Louisiana Pine Snake Species Survival Plan is one of more than 30 field conservation projects in 50 countries around the world supported by Woodland Park Zoo. Photos courtesy Dr. Steve Reichling/Memphis Zoo. 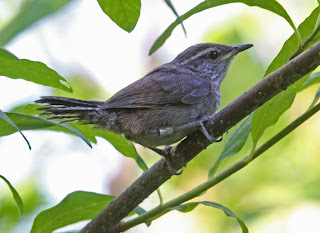 It was a perfect day for birding weatherwise for our annual Early Morning Birdwalk at the zoo this past Saturday: temperatures in low 50s, perfectly blue skies, no wind. If only the birds would cooperate! About 30 guests met us at the zoo's South Entrance at 6:45 a.m. After a brief introduction, we split the group up into two smaller parties. One group was led by raptor keeper Tom Aversa and docent Pat Bredouw. The other group was led by me with great assistance from docents Anna Martin and Laurie Ann Dudley. We wandered around the most likely places on the zoo grounds in hopes to spot some migratory birds that have stopped here for some fattening up before their next leg of their nocturnal migration north. 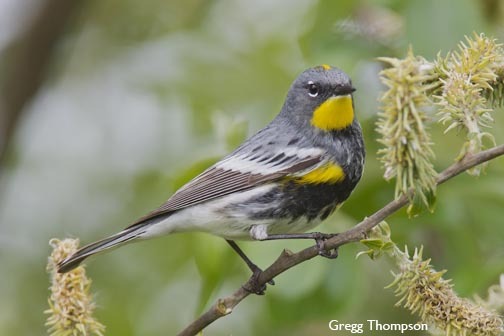 The total bird count was 32 species. Some of the migratory species seen/heard by at least some include: western tanager, Townsend's warbler, yellow-rumped warbler, Wilson's warbler, warbling vireo, black-headed grosbeak, white-crowned sparrow, white-throated sparrow, Pacific-slope flycatcher, barn swallow and violet-green swallow. Everybody enjoyed the opportunity to walk around the peaceful and tranquil zoo during these early hours before opening. Eventually we all met up at the Family Farm to see what curator Mark Myers and zookeeper Stephanie Miller had caught in the mist nests. 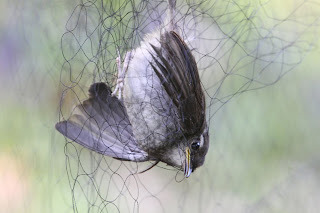 Everybody was lucky and thrilled to watch Mark and Stephanie measure and band several Bewick's wrens that were recently mist netted. Earlier thay had caught several dark-eyed juncos. Afterwards, we all meandered to a table where coffee, juice, fruit, and assorted pastries were served by keeper aide/zoo ambassador Cathy Sommerfeld. Here, everybody received colorful posters that celebrate 2010 International Migratory Bird Day. 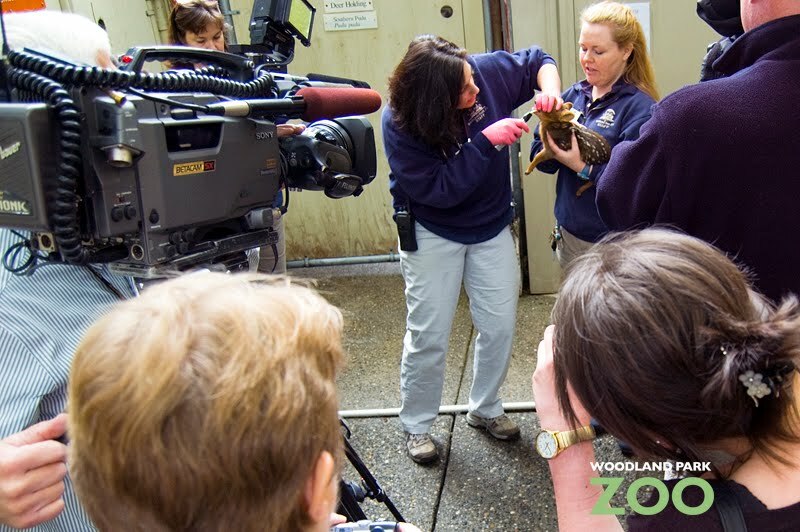 This year's theme is partnerships in bird conservation—a theme we can get excited about here at Woodland Park Zoo, as we partner with conservation programs across the globe to help protect birds including raptors, cranes and hornbills. 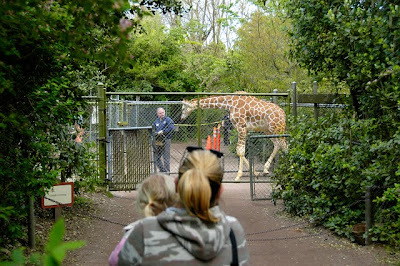 Here’s your chance to get more involved in the zoo blog! We dedicate a lot of blog space to telling you our inside scoop on the zoo. But we know that you all have some great scoop too. Our members and frequent visitors know some of the best tips for making the most of the Woodland Park Zoo experience. You know the best times to go, the preferred picnic areas, the prime parking spots, the best exhibits for kids, the classes you can't miss, the tastiest menu items and so much more. Now we’ve created a section of this blog dedicated to your best tips. You can give a tip or get a tip under our new “Zoo visitor tips” tab located in the sub-header of our blog. Just click on that tab (or this link) and post a comment to leave a tip or browse for some tips you can use on a future visit. This section will get better the more people use it, the more people share it, and the more it grows. So help us get it started by adding your tips today. Thanks! 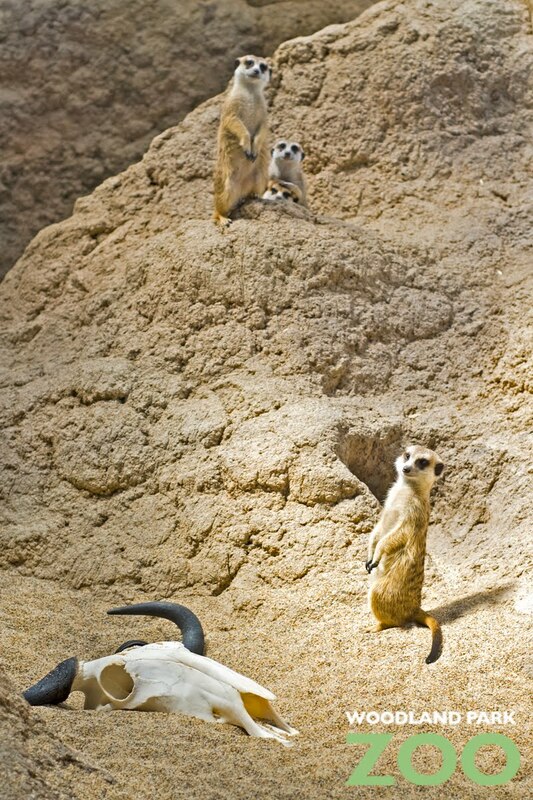 It's been a very busy time for our new meerkats. Their first visitors, in the form of zoo staff, got a sneak peek of them a few days before the meerkats were set to debut to the public. The meerkats took well to the crowd and spent just as much time looking back at all of us as we spent watching them. The other fun, new feature is a faux wildebeest skull. The first day they got it they completely excavated it and explored every nook and cranny. I just hope our young visitors understand that it is an artificial skull and that the meerkats had nothing to do with its demise! 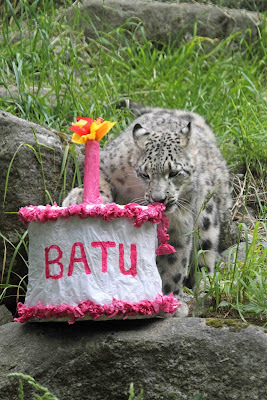 Over this past weekend, the exhibit was officially opened to zoo guests. As crowds gathered around the window, the one word I could hear over and over again was “CUTE!” I reminded many of the visitors I encountered that the meerkats are not just cute, but meerkute—and all the fascinating things that make them amazing to watch, like their social structure, and their burrowing and digging behaviors. But don’t take my word for it. Come see them for yourself now that the exhibit is open. 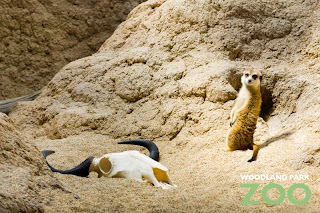 You can even chat with the meerkat keepers if you stop by one of our weekend chats at 2:30 p.m. this summer.